There is nothing better than owning a luxury SUV with plenty of amazing features and that is also capable of driving through unpredictable winter weather. 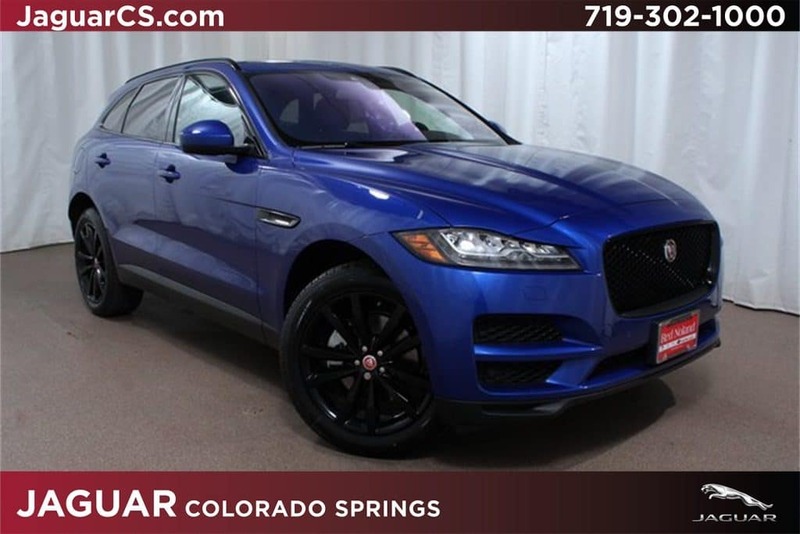 At Jaguar Colorado Springs in southern Colorado’s Motor City near downtown Colorado Springs, we have a great inventory of all our available Jaguar SUVs. That includes the 2018 and 2019 Jaguar F-PACE models that are priced under $80,000. The model pictured above is a beautiful 2018 Jaguar F-PACE Prestige SUV with a Red Noland price of $59,511 – which is discounted from $63,511. This model is eye-catching with its Caesium Blue Metallic exterior color and its Gloss Black grille with Gloss Black surround plus 20″ Split-Spoke wheels w/Gloss Black Finish. It has a beautiful contrast of Ebony and Tan stitch interior that can comfortably seat up to five while having plenty of extra cargo room. Equipped with a 2.0L turbocharged engine and paired with an 8-speed automatic transmission, you should expect an estimated 22 MPG city/27 MPG highway fuel economy! Some of the other features you can enjoy include blind spot monitor with rear traffic detection, cooled and heated front seats, powered gesture tailgate, sunroof with power sunshade, rearview camera, and much more. With the purchase of this 2018 Jaguar F-PACE SUV, you are getting the peace of mind of the Jaguar EliteCare best-in-class coverage of a 5-year/60,000-mile warranty. If you need help with the financial side of things, we can aid you in that department as well. You can fill out our helpful online financial application here to start your financing process.